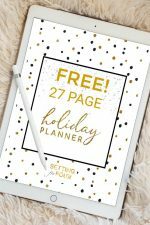 Get your FREE Printable Holiday Planner – 27 Pages to Organize and Plan Christmas! Take the stress out of the holidays, get organized and STAY SANE over Christmas! 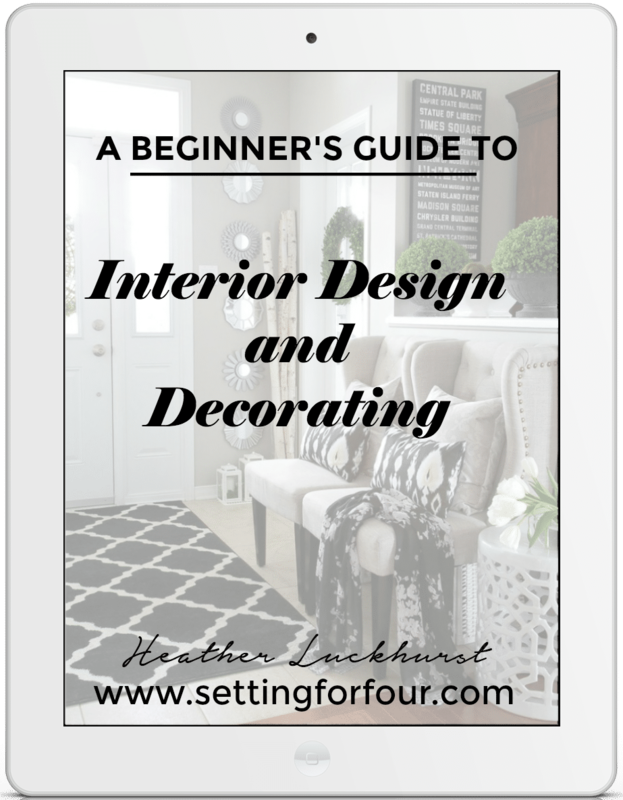 Includes pages to plan Christmas, Black Friday and Cyber Monday shopping, holiday menu and grocery shopping lists, baking planner, gift planner & places to be checklist! 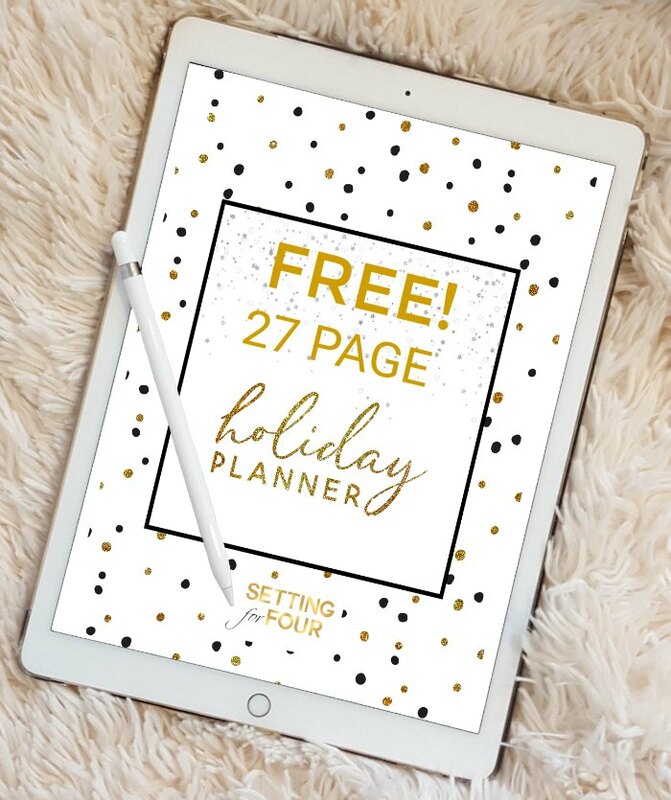 FREE Holiday Planner – 27 Pages to Organize and Plan Christmas! 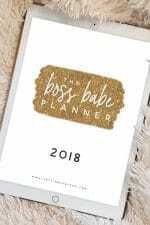 This chic black, gold and white planner is made to help YOU plan every holiday detail and help you get organized with all things Holiday related! So you won’t forget a thing! Get your Free Holiday Planner by completing the form below. The link to the planner will be emailed to you after you use the form! 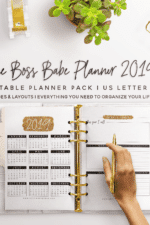 See below on how to organize and store your planner after you receive it! 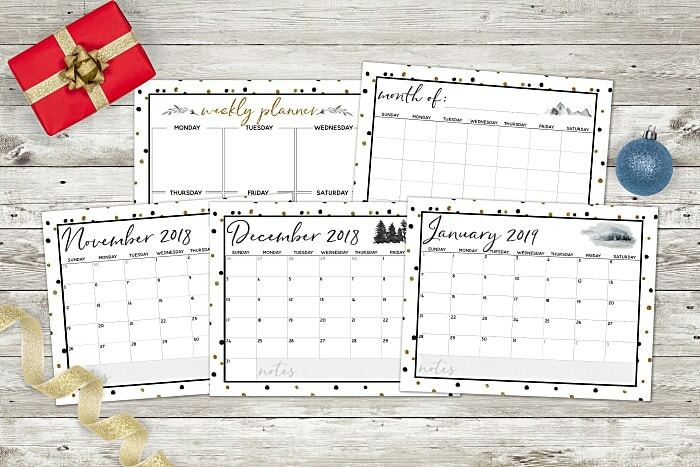 Trying to stay on track with Christmas party and places to be timings, gift lists and Christmas menu planning can be overwhelming this time of year! 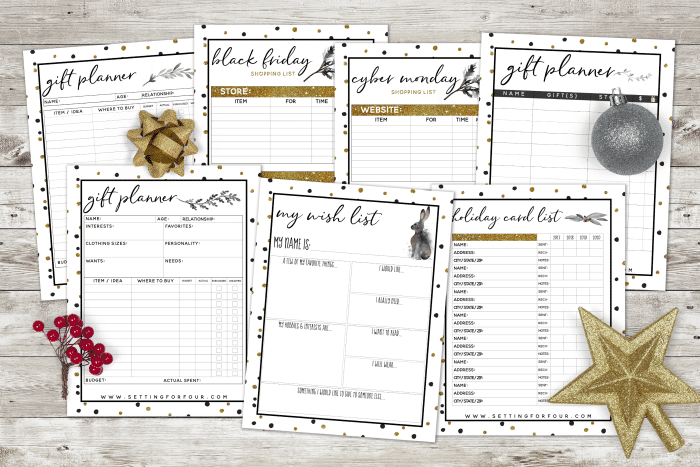 Here’s how the Holiday Planner looks – I love the chic black, white and gold design! What to do with your FREE planner? 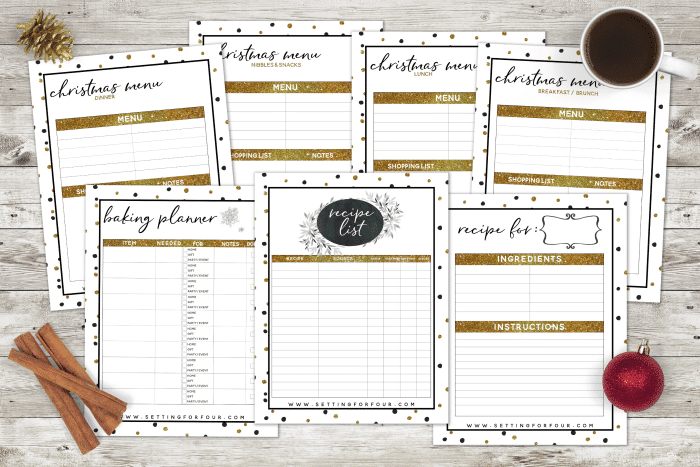 Assemble Your Holiday Planner Binder this way! 1. 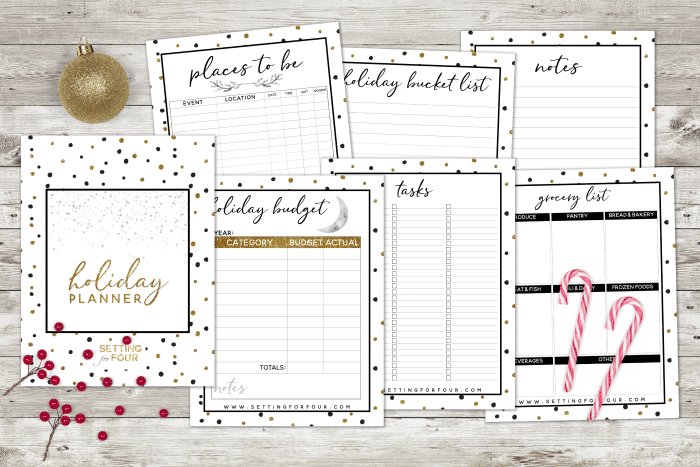 Download and print your Free Holiday Planner Pack in color. You can print in black and white if you’d like to save ink but you won’t get the pretty sparkle look. Print additional copies of any pages you want multiples of. 4. 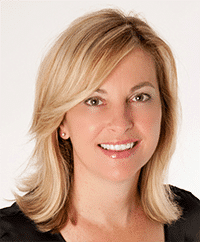 Optional – Place pages in sheet protectors if your worried about spills. 5. 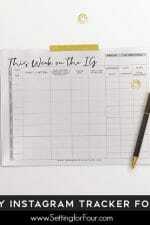 Optional – separate your planner sheets with tab dividers. You can keep the menu plans, recipes and grocery list in one section, the calendars and places to be list in another section. Don’t forget to get your Free copy using the form! The link to the planner will be emailed to you after you use the form! This would be so helpful! I always end up with so many different lists around Christmas time! 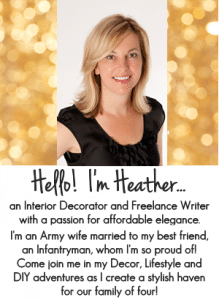 I love making list, especially around the holidays when things are so hectic. Can’t wait to use this for Christmas this year! This is SO helpful! I can’t believe that it is free! THANK YOU! You’re so welcome Becca!! I hope it helps you this holiday season!